Diverticular disease first became recognised at the beginning of the 20th century and although the incidence of the disease is not known, it is considered to be a disease of the older person. This book looks at a disease that is known as a Western world disease, often called by surgeons a 'cinderella disease' as they often feel that there is little to offer the patient with uncomplicated diverticular disease. The book endeavours to give the healthcare professional a holistic view of the care and pattern of diverticular disease, and chapters may be used as stand alone chapters for those wishing to know more about stoma care, alternative treatments or food management. This book is essential reading for healthcare professionals involved in the care of patients with this disease. 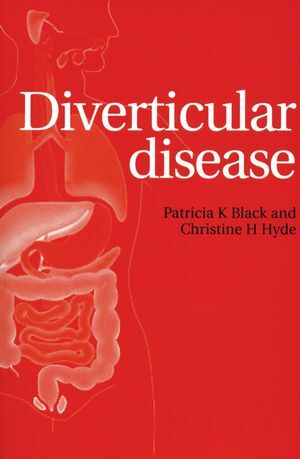 Patricia K. Black is the author of Diverticular Disease, published by Wiley. Christine H. Hyde is the author of Diverticular Disease, published by Wiley. The History of Diverticular disease.